The I.S.S. Design Challenge, co-sponsored by Mouser's valued suppliers Amphenol and Intel®, is a call to college and university students, engineers, and makers, to create a 3D-printable project designed to help I.S.S. astronauts in space. Kyntrol's new Electro-Hydraulic Actuators use hydraulic technology coupled with electric servo accuracy to deliver a standalone, compact package that is reliable, simple to set up and customizable to the application's motion control needs. The compact design moves up to 20,000 pounds with repeatable positioning to 0.001 of an inch. 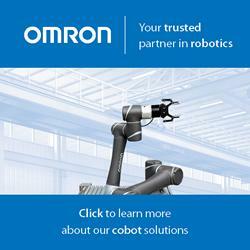 07/22/16, 05:03 AM | Industrial Robotics, Factory Automation | Global Market Insights Inc.